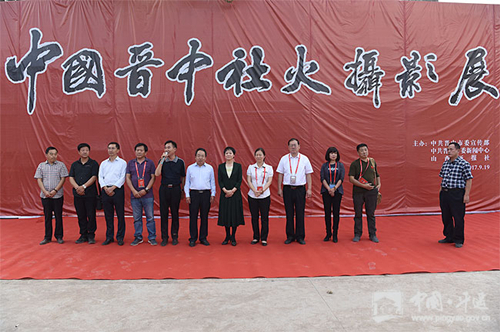 A photography exhibition focusing on Jinzhong city's shehuo, a collection of traditional folk performances, opened in Pingyao county on Sept 19. Shehuo, which has a history dating back 2,500 years, is typical of folk customs celebrating Chinese New Year. A related photography activity was held in Jinzhong during Lantern Festival in 2017 as well as at selected lantern shows, and shehuo performances were held at local tourist attractions and in the countryside, attracting more than 100 photographers from home and abroad to capture the ancient traditions on film. After a selection process, a total of 160 photos were displayed at the unveiling of Jinzhong Shehuo Photography Exhibition on Sept 19. Two photographers, Liang Shengren from Pingyao county and He Ziyi from Taiyuan won gold awards at the opening ceremony.